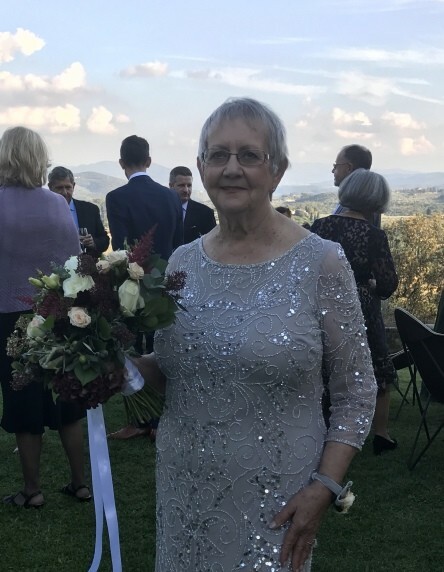 Kitty Roden, 79, of Winchester Bay, passed away peacefully on February 8th, 2019. Born in San Diego, California, she spent her life “living” on the West Coast from Roseburg, Sacramento, Paso Robles, and eventually residing in Winchester Bay, Oregon. A woman that needed only one name, Kitty was a spirited soul with a passion for life that was infectious to everyone around her. Her love and compassion for others was truly unparalleled. Her professional career and life was always centered around helping others. Many will recently remember Kitty’s famously large and delicious pies from her shop in Winchester Bay. Kitty’s Kitchen is Christmas Forever was a popular destination from locals and visitors alike. She treated everyone that entered as family and always made sure to make you feel that way every time you were with her. Kitty’s true gift was love, and her genuine ability to give it freely. Survived by all of the friends and family that made her life as colorful as it was, Kitty will be deeply missed and remembered.